Helpforce, the organisation working with hospitals to enhance the benefits of volunteering across the NHS, has announced that the Norfolk and Norwich University Hospitals NHS Foundation Trust has joined its new Volunteering Innovators Programme to identify the most promising volunteering initiatives from across the country that can be spread to other NHS settings. 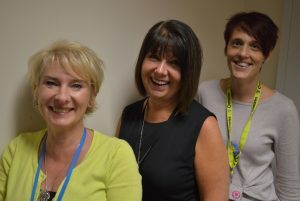 NNUH has been chosen as one of the 12 hospital trusts that Helpforce will work with over the next 18 months to develop volunteer innovations that will be refined and shared to help other trusts in the UK adopt effective volunteer services. The volunteer initiatives at NNUH have been identified as having the potential to make a major impact to benefit staff and patients. The programme will focus on the Trust’s Settle In Service to help patients when they are ready to leave hospital. Settle In volunteers welcome patients home and ensure it is warm and safe and they feel happy with being back. They can also shop for some basic supplies making sure the patient has a hot drink and something to eat. The Trust was selected following a competitive process which saw Helpforce receive 115 applications from 90 trusts. As part of Helpforce’s work with 12 new NHS hospital trusts, 10 will be funded by NHS England and two by the Royal Voluntary Service. The 10 funded by the NHS England grant will each receive a £75,000 grant, and all 12 will have access to a range of supporting services, digital tools, resources and guidance. The Volunteering Innovators Programme launches alongside the publication of new Helpforce findings showing the positive impact that volunteers can make for patients and staff, following an evaluation of the organisation’s work with five trusts that have been testing volunteer roles since 2017. The findings include showing how volunteers can free up time for NHS staff to focus on their core roles, support vulnerable patients at mealtimes, and how they can assist with the patient discharge process.